Is It Time to Reform the Roman Curia? 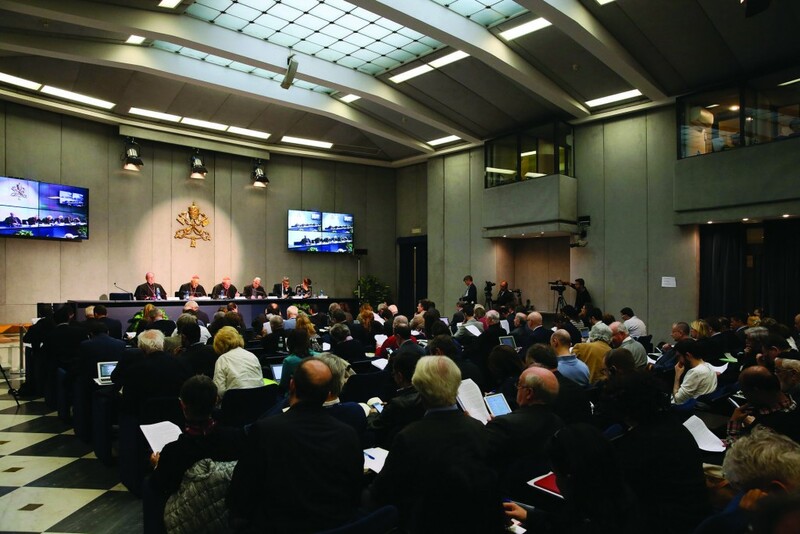 On April 13, Pope Francis announced the first major decision of his papacy: he chose eight cardinals from around the world to make up a sort of “advisory board,” with a bishop as secretary, that will meet periodically to infuse energy into a reform of the Roman Curia that the College of Cardinals asked for during their pre-conclave meetings in early March. During those days, criticism of “Roman centralism” came from the cardinals farthest away from Rome, in the outer rings of the Church. The still-mysterious “Vati­leaks” scandal increased a lack of trust in the Roman Curia. Jorge Mario Bergoglio himself — later elected Pope — focused his remarks during the pre-conclave meetings on the need to be less “self-referential” and to proclaim the Gospel, and this was one of the main reasons why the cardinals’ votes at the conclave — even those from North America — went to him. Will the reforms that these eight cardinals eventually propose correspond to what the cardinals had in mind when they elected the Pope? So on the day marking the one-month anniversary of his pontificate, Pope Fran­cis announced his first clear move to overhaul the Curia. He chose eight cardinals he trusts — only one from the Curia — and Bishop Marcello Semeraro, who runs the diocese of Albano (where the papal summer residence of Castel Gandolfo is located) to assist them. Francis’ move was immediately noted and commented on in the media. 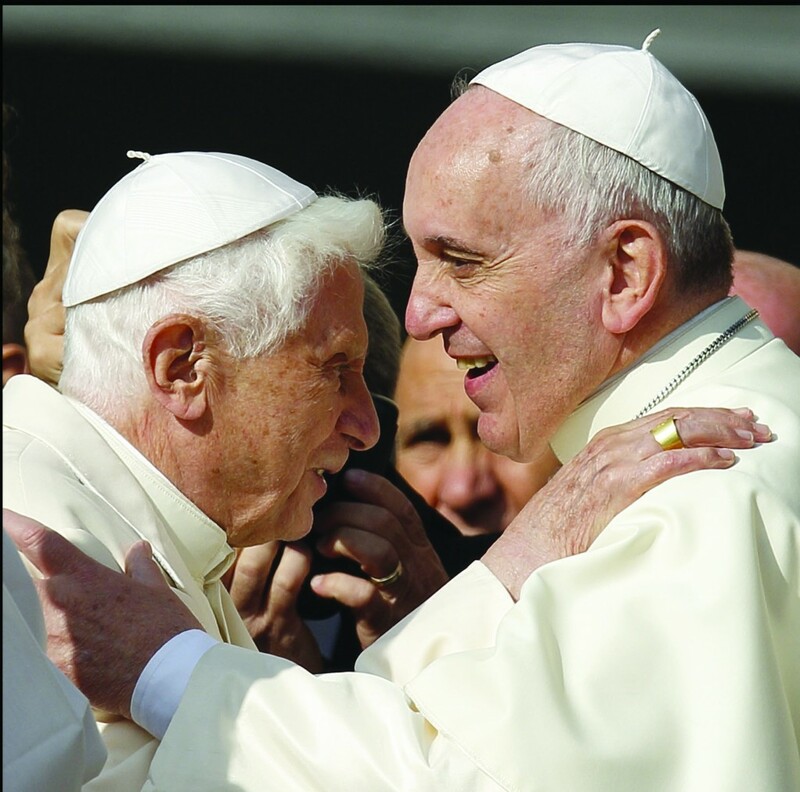 Popes have often asked their main collaborators, the cardinals, to advise them. There is nothing new about this. But the fact that the “working group” appointment was announced with great pomp and circumstance (the Vatican’s equivalent of bells and whistles) suggests that Pope Francis may want to revise Pastor Bonus, the apostolic constitution that regulates the functioning of the Roman Curia. The “eight wise men” (the chosen cardinals) are already in touch with the Pope and preparing for their first meeting, scheduled from October 1 to 3 in Rome. Cardinal Francesco Coccopalmerio, president of the Pontifical Council for Legislative Texts, is not one of the “Group of Eight.” This is noteworthy: during the pre-conclave meetings, Coccopalmerio outlined to the cardinals a Curia reform meant to make the Curia more efficient. His remarks were so well-received that (it is said) he became the most-voted Italian cardinal in the conclave. Was his project dismissed? Or is it just that Pope Francis did not want anyone from the Curia in his working group? We do not know. The eight cardinals represent the five continents. First on the list is (1) Giuseppe Bertello, the head of the Vatican City State administration (so, technically, not a part of the Roman Curia). Very close to Pope Francis — they met while Bertello was serving as papal nuncio in Latin America — Bertello is considered by many a possible future secretary of state. Representing South America is (2) Francisco Errazuiz Ossa of Chile, born in 1933, bringing with him his long experience as former archbishop of Santiago, the capital of Chile. Representing Asia is (3) Oswald Gracias, 69, of India, archbishop of Bombay. He comes from a country where Catholicism is alive and active, though prone to potentially misguided theologies (some officials of the Congregation for the Doctrine of the Faith who used to visit India defined their field work there as “difficult”). Gracias is president of the Indian Bishops’ Conference, which brings together all the Cath­olic bishops of India regardless of their rite (in India, there are three Catholic rites: Roman, Siro-Malabarian, and Siro-Malankarian). Europe is represented by (4) Cardinal Reinhard Marx, archbishop of Munich and Freising, well-known for his books and statements on the social doctrine of the Church. Marx’s views have not always been shared by the representative of Oceania, (5) Cardinal George Pell, the archbishop of Sydney, Australia. 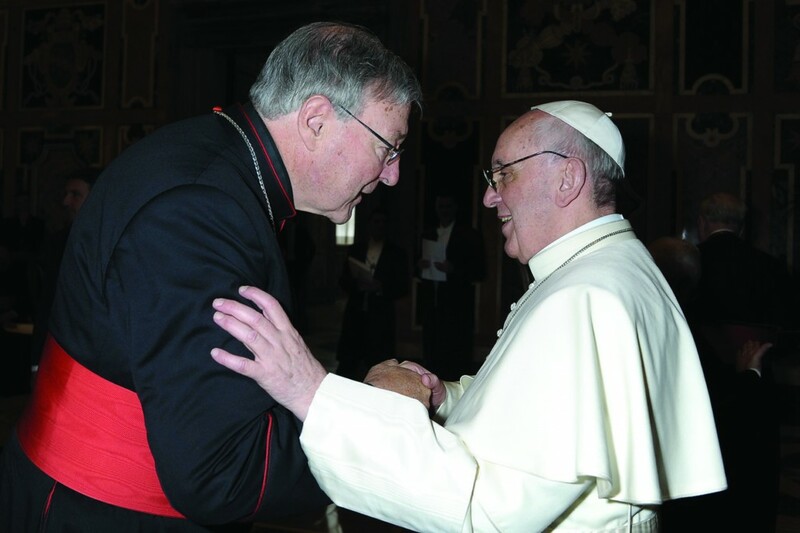 Pell has spent considerable time in Rome and had a lively exchange of opinions with Marx in a recent meeting. It will be interesting to see how the two work together in the working group. Representing Africa is (6) Cardinal Laurent Mosengwo Pasinya from the Democratic Republic of Congo. He has earned praise and esteem for his courage in his own country, troubled by civil war, and he was chosen last year to preach the Lenten spiritual exercises to the Roman Curia. Representing North America is (7) Sean Patrick O’Malley, archbishop of Boston. He is already familiar with the Curia machine, because he worked with the Roman Curia to fight cases of clerical abuse that had occurred in his diocese. Representing Central America is (8) Cardinal Oscar Andrés Rodríguez Maradiaga, archbishop of Tegucigalpa (Honduras). He will be the coordinator of the group. He is a close personal friend of Pope Francis, and he was one of the first cardinals to have lunch with the newly-elected Pope. Maradiaga does not work in the Curia, but he is president of Caritas Internationalis and knows Rome’s politics very well. Also noteworthy is that none of the eight cardinals is a canon law expert. 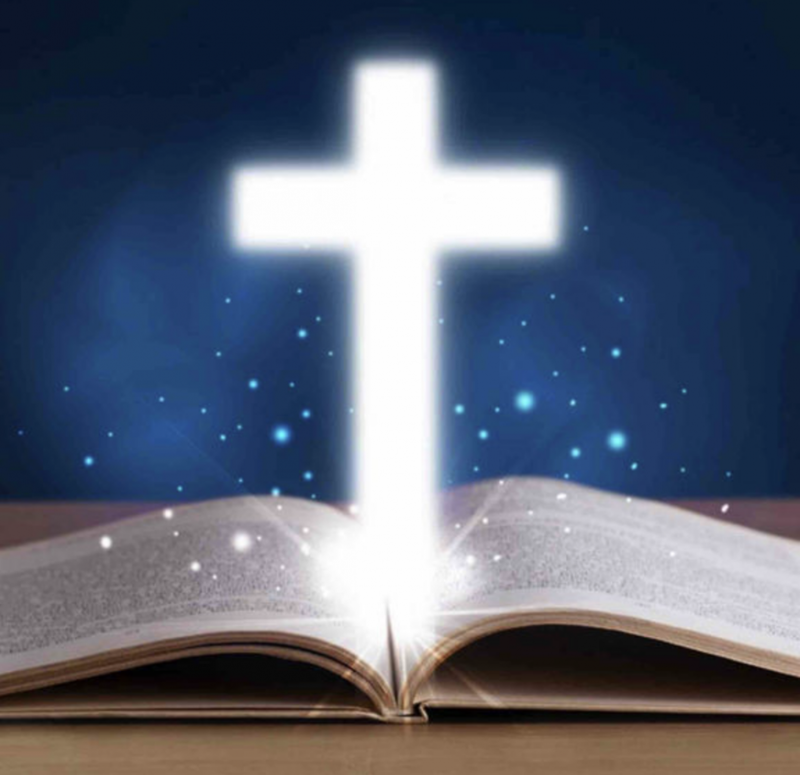 Since the Curia is structured according to a pastoral constitution, a canon law expert would be of assistance. 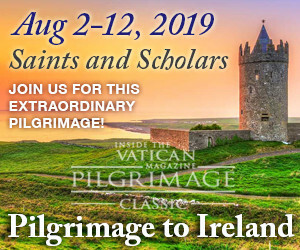 It is striking that Pope Francis ap­pointed this ad hoc commission of cardinals, since cardinals are already entrusted with the responsibility of supporting and advising the Pope. Some maintain that, in fact, the eight cardinals are a working group more than an advisory board. According to this view, the Pope will rely on this group to offer proposals to restructure the Church’s political-institutional framework: to sketch a plan for Curia reform, which the experts would put into effect. The Pope, in fact, has a wide array of tools to bring about a reform of the Curia. For example, he could write a four-line motu proprio letter to abolish the Curia altogether, or he could redesign it with a more structured pastoral constitution. Appointing a working group of this kind reveals the wish of Pope Francis to give the Curia a more “pastoral” profile. Many believe that quite soon the cardinals who are presidents of the Pontifical Councils will be dispatched as archbishops to different dioceses, and that just a few berrette rosse (red hats) will remain in the Curia. This would be a step toward a streamlining of the Vatican bureaucracy and the underscoring of the pastoral mission of priests. Many commentators have suggested that the selection of cardinals was reached “collegially.” In fact, this does not seem to be the case: Pope Francis personally appointed the members of this working group, and they report only to him. It is not a selection Pope Francis made in consultation with other bishops, even if the official communiqué explains that he acted “following suggestions from the pre-conclave meetings.” In fact, when, if and how Pope Francis will convoke a Synod will tell us much more about how he views collegiality. In that regard, it will be equally interesting to see if Pope Francis will take on board Paul VI’s old idea of including among the Pope’s electors, alongside the voting cardinals, the 15 members of the Synod of Bishops’ permanent committee. Since the cardinals will be in touch with the Pope and will help him to govern the universal Church, a question remains: Was Pope Francis elected to be the agent of a reform conceived by the eight cardinals, all of whom had been among his main electors? 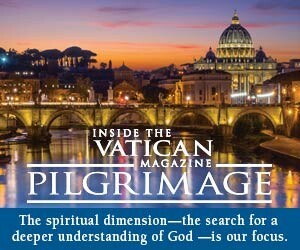 Or did the Pope decide to delegate power so he can focus on what he loves most, being the world’s parish priest?